Thank you to all the anglers who reported through MyFishCount in 2018. From your participation, we were able to gather new information, insights into private recreational fisheries, and learn more about recreational reporting. The figures below summarize reported data during 2018. Please note the MyFishCount app became available in June 2018 for download from the Google Play and App Store. Please encourage your fellow anglers to continue to report all of their catches! Visit myfishcount.com to download the app and start reporting today! Small hermaphroditic (male and female) grouper with three color phases. Can reproduce when they are only inches long. What species do you find interesting? 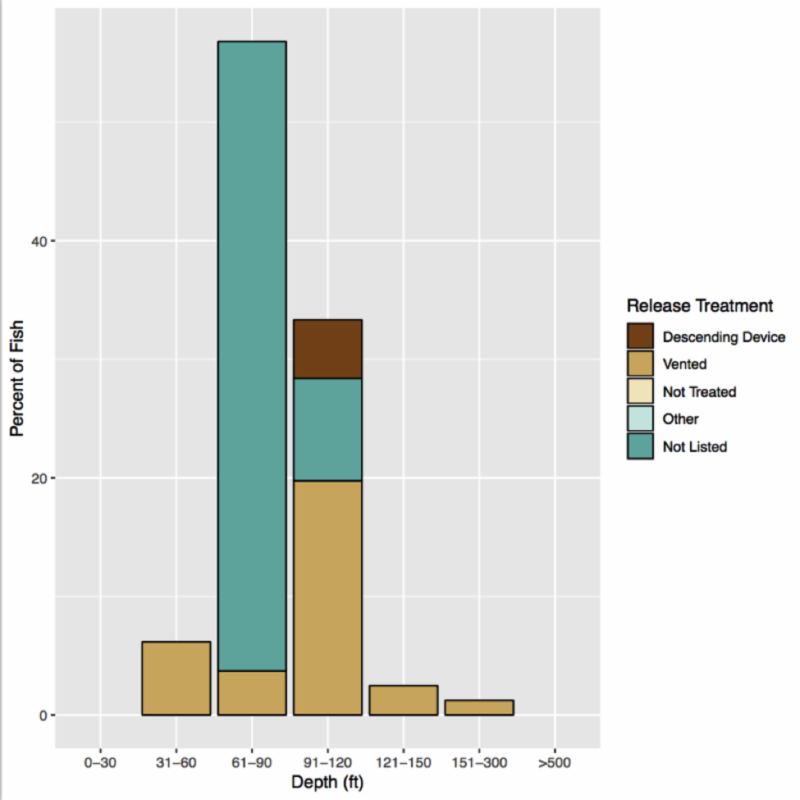 The figure above shows the release treatment of red snapper based on depth. Most anglers who released fish in 90 feet or more of water indicated they used descending tools or vented fish. This could be attributed to the fact that fish are more likely to experience and exhibit symptoms of barotrauma when reeled up from depths greater than 90 feet. To learn more about barotrauma and best fishing practices here. 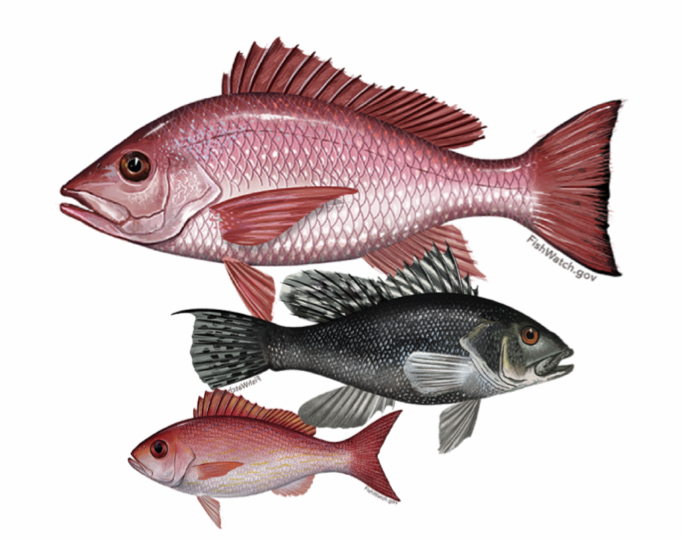 As seen in the figure to the above, there was not a large trend in the size of kept red snapper. The majority of reported released red snapper were under 25 inches. 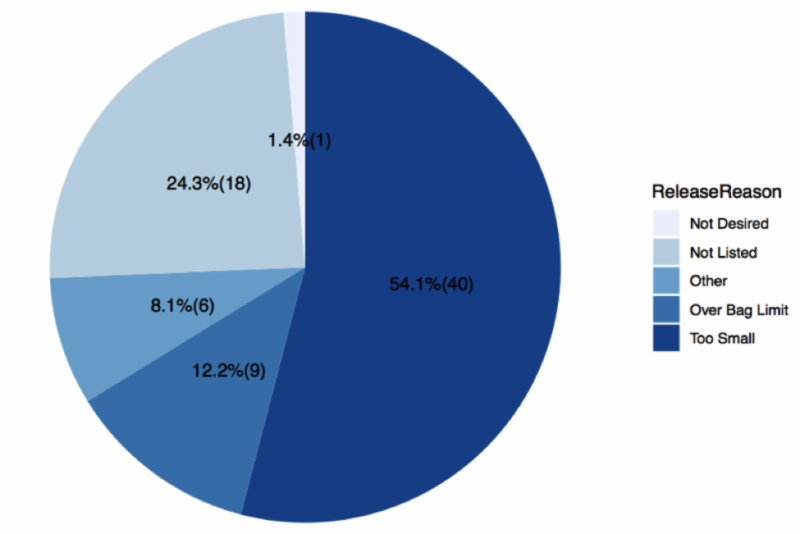 The pie chart above shows the reason for releasing red snapper as reported through MyFishCount. The number in the parenthesis show the number of fish. Anglers indicated that most fish were released because they were "Too Small." Figure 5. 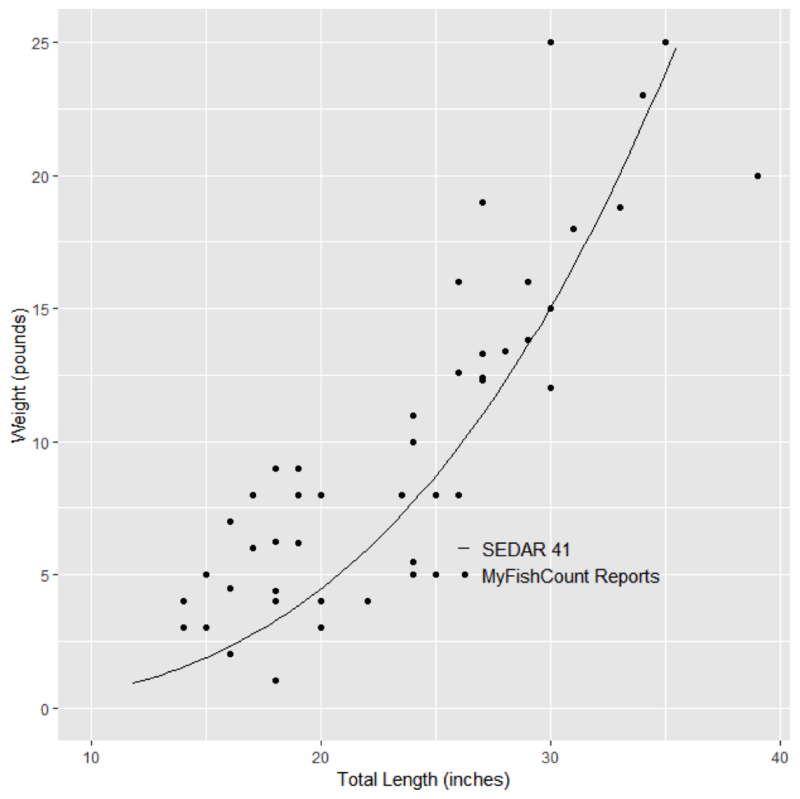 Red snapper lengths and weights reported through MyFishCount compared to red snapper length and weights from SEDAR 41. 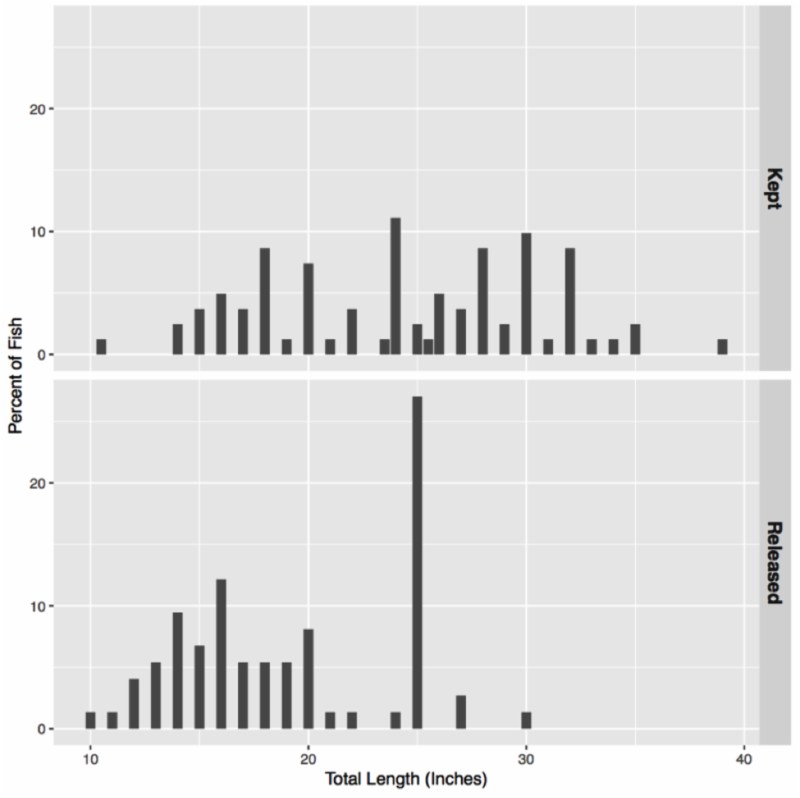 The line in this figure represents the length and weights for red snapper from SEDAR 41 (the last stock assessment completed for red snapper in 2017). Each point represents a length and weight for red snapper reported by an angler. The SEDAR 41 line falls between the points reported by anglers, indicating the lengths and weights reported by anglers are similar to the lengths and weights from SEDAR 41. Anglers from all states in the South Atlantic region reported through MyFishCount. It is important to collect information from all the South Atlantic states in order to provide proper a proper representation of catch for the the South Atlantic. The percentages in each state waters represent where fishermen are reporting, not the level of effort. Additionally, it is to be noted that these percentages add to a total of 101% and not 100%. This is due to rounding. To learn more about the data reported through MyFishCount please visit the the MyFishCount reports page. Additional check out the MyFishCount Data Portal which allows anglers the ability to extract reported information from the app, learn about different species life historie's, how information collected through MyFishCount compares to current data, and more. You can visit the MyFishCount Data Portal by clicking here. If you have not yet done so, download the app to report your trips. 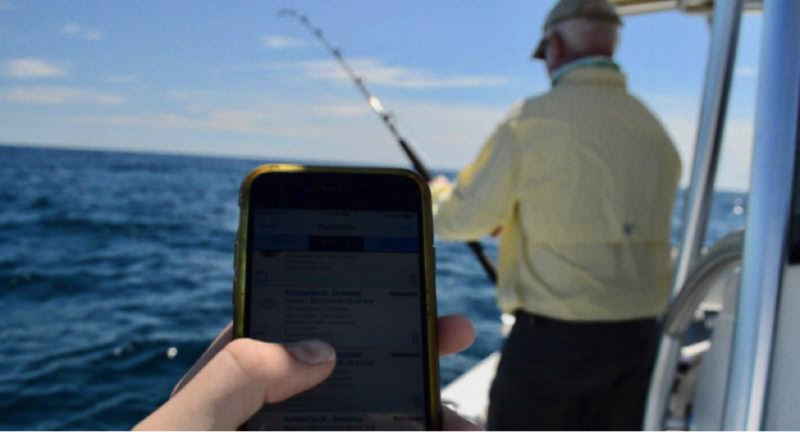 Create your own personal fishing log and share your catch and trip data with fishery scientists and managers by downloading and using the FREE MyFishCount mobile app for private anglers. Click the above buttons to download the app today!